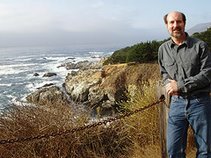 What forces shaped the culture, politics, and economy of the American South? The factors were many - it was not one man's doing - but NPR correspondent and author Steve Inskeep suggests that one particular man in the early 19th century played a key role in a struggle that allowed the South to develop as it did. That man was Andrew Jackson, and the issue was the forced removal of native tribes from the South. 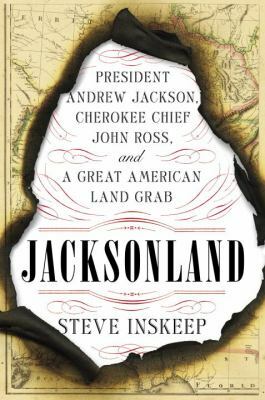 Inskeep tells the story in Jacksonland: President Andrew Jackson, Cherokee Chief John Ross, and a Great American Land Grab. In Jacksonland, Inskeep focuses on two men. The first is, of course, Andrew Jackson, an icon of American history. The second is Cherokee chief John Ross, whose name is mostly forgotten today. Jackson and Ross were not always opponents, as the latter served in a Cherokee regiment under Jackson in the War of 1812. Ross was elected to the Cherokee Council in 1817, became its president in 1819, and spent the next twenty years negotiating with government officials in Washington to protect tribal land. Jackson and his wealthy friends, however, had designs on that land. When Jackson became president, the removal of the Cherokee tribe from the South became inevitable. As the subtitle suggests, Jacksonland is a book in which the author's sympathies are apparent. 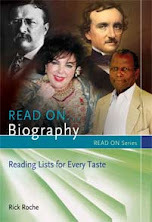 What will interest many modern reader are the stories showing that Jackson seemed like a cad to many in his own time. Critics, mostly in the North, decried the forced removal of native tribes who had previously been assured by treaties of their territory in the South. For a while, the issue was hotter than slavery. I listened to Inskeep read his book on compact disc. I especially liked the final section that brings the story to date, telling how many Cherokees never left and others returned to the South. The audiobook was good listening for commuting and gardening for a week. Inskeep, Steve. Jacksonland: President Andrew Jackson, Cherokee Chief John Ross, and a Great American Land Grab. Penguin Press, 2015. 421p. ISBN 9781594205569. Audiobook: Books on Tape, 2015. 10 compact discs. ISBN 9781101914953.